These Bloody Bathroom Tile Stickers will add gore to your scary bathroom display. Create the look of bloody bathroom tiles, walls, and even on the floor. Clings to most smooth surfaces and are easily removable. 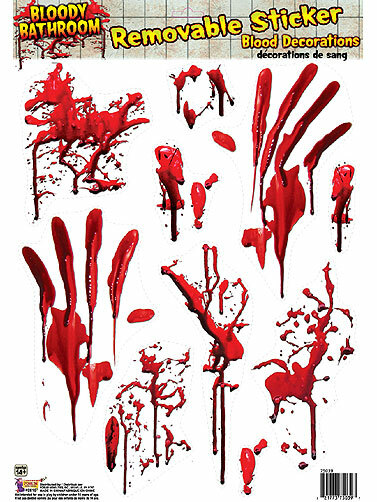 Set of 10 removable stickers that include bloody handprints, blood stains, and blood splatters. 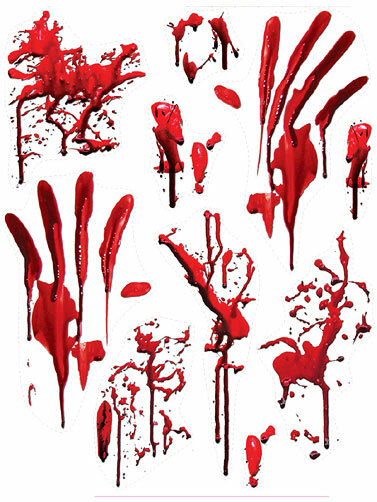 Bloody Bathroom Tile Stickers in assorted sizes, are printed on one plastic sheet that measures 17"H x 12"W.